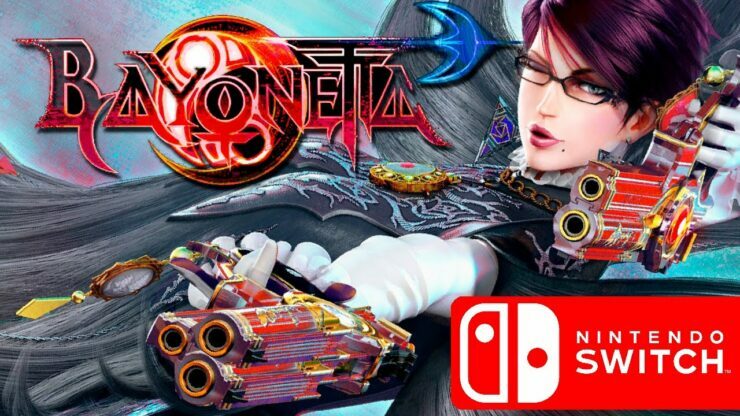 Developer PlatinumGames and Nintendo have announced Bayonetta 3 for the Nintendo Switch alongside a re-release of Bayonetta 1 and 2 on Nintendo’s new hybrid platform. Like Bayonetta 2, Bayonetta 3 will be published by Nintendo and more details about the game will be announced in the near future. Alongside the new Bayonetta Switch announcement, PlatinumGames also announced the re-release of the first Bayonetta and Bayonetta 2 on the Nintendo Switch. Both games will release on Nintendo’s latest platform on February 16 in NA & Europe. Those in Japan will have to wait one day longer. The previously online-only coop Tag Climax is going local! Team up with a friend to take it on – online or off. Bayonetta 2 for Nintendo Switch will support amiibo, including the Bayonetta amiibo from the Super Smash Bros. series. Record gameplay videos, starting up to thirty seconds before you press the capture button. Share videos from your Switch’s Album to Facebook and Twitter to show the world your skills!https://youtu.be/3SxJGDofOfoThe digital version of Bayonetta 2 will be purchasable in the Nintendo eShop on Nintendo Switch for $49.99, with the option to also then purchase the digital version of the original Bayonetta game for $9.99. However, if players choose to download the standalone digital version of Bayonetta first, they will pay $29.99, with the option to then get the digital version of Bayonetta 2 for an additional $29.99. Bayonetta 2 will be made available both digitally and physically, while the original Bayonetta will only come as a digital version. PlatinumGames notes that players who purchase the game in stores at a suggested retail price of $59.99 will receive a free download code for the original Bayonetta game. The digital version of Bayonetta 2 will be purchasable in the Nintendo eShop on Nintendo Switch for $49.99, with the option to also then purchase the digital version of the original Bayonetta game for $9.99. However, if players choose to download the standalone digital version of Bayonetta first, they will pay $29.99, with the option to then get the digital version of Bayonetta 2 for an additional $29.99.